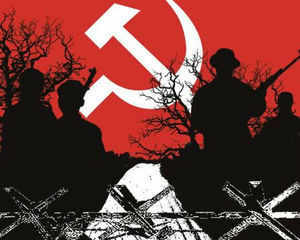 They have been considered one of India’s most pressing threats, and the recent attack by the Naxalites that ambushed a convoy of the Congress Party went that much further. The ambush took place over the weekend in Sukma on the Maharashtra, Andra Pradesh and Chhattisgarh border. Reports suggest that there were as many as 200 Maoist rebels who inflicted heavy losses – 28 killed and 24 others wounded – before fleeing. The attacks have shaken the establishment. 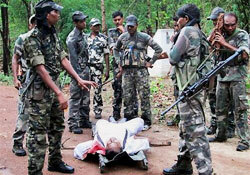 Among the dead were four state party leaders including Mahendra Karma of Chhattisgarh, and five police officers. For BJP spokesperson Prakash Javadekar, “This new aggressive strategy of the Naxalities is a real threat to the Constitution and the rule of law. It is a challenge to sovereignty” (Times of India, May 26). Former police chief of Punjab state KPS Gill is pessimistic about the new surge – the government of the day did not “have the political will and bureaucratic and police set-up to prevent such attacks” (Dhaka Tribune, May 26). Synopsis: ‘Let us declare that the state of war does exist and shall exist’, the revolutionary patriot had said almost a hundred years ago, and that forewarning travels into India’s present, as armed insurrection simmers in Bastar, in the troubled heart of central India. But to the east too, beleaguered adivasis from the mineral-rich hills of Odisha come forth bearing their axes, and their songs. And in the north the swelling protests by Punjabi peasants sees hope coagulate–once more–around that iconic figure of Bhagat Singh, revolutionary martyr of the anti-colonial struggle. But are revolutions even possible anymore? Or have those dreams been ground down into our nightmares? This is a chronicle of those who live the revolutionary ideal in India, a rare encounter with the invisible domain of those whose everyday is a fight for another ideal of the world. Can you talk about the beginnings of Red Ant Dream? When and why did you get interested in making this film?